Long before it was separated into the Irish Republic and Northern Ireland, this island was occupied by dozens of contentious tribes. Jealous and aggressive, they were often embroiled in battles against one another, or a few of them might briefly join forces against another tribe. The ivy-covered ruins of Ballycarberry Castle overlooks Doulus Bay near the town of Cahersiveen on the Iveragh Peninsula. Researchers say some form of residence was there in 1398, but this castle probably dates to 1569. Consequently, for protection of at least their august selves the ruling chieftains, later minor royalty, would have built castles in which to live. Occasionally, in the previous century, a surviving castle here or there was restored and opened to the public. One of the most popular is the landmark for a medieval theme park, the Bunratty Folk Park. It is about 11 miles from bustling Limerick, about 10 minutes from Shannon Airport. Though some ancient artifacts serve historians, this one serves tourists. The main building, dubbed the castle, is an accurate recreation of the main tower of a castle built in the 1400s. Beyond it is a series of real and authentically recreated buildings that portray late 19th century village and farm life. The castle is furnished with pieces from the 15th and 16th centuries, but the reason most people pay the admission fee is not to admire the museum pieces but to attend the medieval banquets held twice a night during the summer tourist season. From among the 140 or so diners at each meal, the hosts select a man and woman to play the lord and lady of the manor. Talented locals act as the butler – actually, the master of ceremonies – and as the serving wenches. A harpist and a violinist provide music, as background for the eight-wench chorus and also fine solos. The only utensil for the diners during the courses of soup, meat and vegetables is a knife. The meal itself would move along swiftly except that, between the servings, the butler makes jovial announcements, the chorus sings and musicians play. Of course, the recently anointed lord and lady are included in some of the frivolity, and at least one other diner will be mocked – but in good fun. Most of the music played would have been heard in these halls when they were new. But the night I attended, another newer and more familiar song caused one of the young singers to wipe away tears: the lament sung by parent to son, the Londonderry Air, or Danny Boy. The Bunratty Castle Medieval Banquet has two seatings a night. 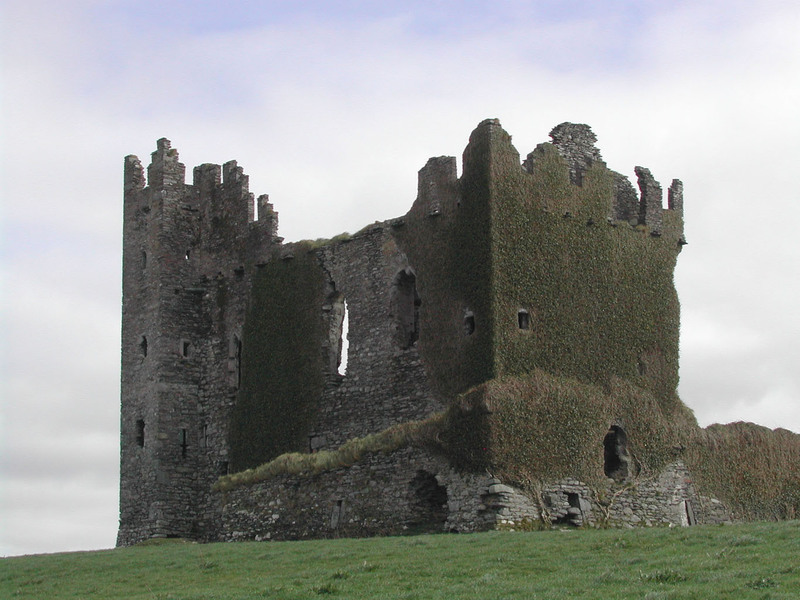 The castle is just off the N18 highway – the Limerick/Ennis Road. For more information and to make reservations, go to www.shannonheritage.com/Entertainment/BunrattyCastleBanquet.